The family of Det. Sean Suiter remains stuck between loss and legacy. Nicole Suiter smiled as she looked down at her phone; watching a 13 second video clip she took of her husband, Sean, dancing at a colleague’s party just days before his death. She texted the video to him an hour before he was shot on November 15 last year. She says he called her right after. They laughed. He said he would stay up for when she came home from her night shift. It would be her last conversation with the only man she could ever see herself loving. “I feel like I am in a different world without Sean. I try to do things, get on with a normal routine. Move forward. But sometimes I get pulled back,” Nicole said. For the Suiter family, it is still so much an open wound. Their home is still filled with Sean. There are pictures, blankets, the shadow boxes and flags you're given after a long and very public funeral…even a football sent to the family signed by Sean's favorite team, the Dallas Cowboys. Nearly a year later, the Suiter family remains stuck between loss and legacy. “It's a lot. It doesn’t seem to get easier for us because every day it is something different going on in the news or the media...it's a lot to deal with,” Nicole said. Because months after being told her husband was murdered, killed in the line of duty, a panel of seven people say the homicide detective killed himself. Now, the Suiter family is forced to wait on the Office of the Chief Medical Examiner to see if it will follow suit and re-write the final moments of the detective's life. “If I could curse I would curse, but it was B-S for us all. It is unbelievable. Sean would never leave his family like that. Like I said before, he moved mountains for us, so I knew he wouldn't just up and leave us like that, take his own life. That went in one ear and out the other for this family,” Suiter said. More so when Suiter and her attorneys read the IRB report. They say there are issues with who the panel did not interview and an omission of certain facts. Including the main theory put forward by the board. The report alleges Sean Suiter specifically requested a “very junior” homicide detective in David Bomenka to canvass on Suiter’s nearly year-old triple murder case on Bennett Place. But in fact, it was David Bomenka who had the more active case on that block. 15-year-old Jeffrey Quick was shot and killed in August of 2017. It was Bomenka's case and according to case documents obtained by WMAR-2 News, it partly relied on the witness testimony of a woman in the 900 block of Bennett Place. The documents show she was located the morning Suiter was shot but refused to cooperate with the homicide operations team dispatched to bring her in. 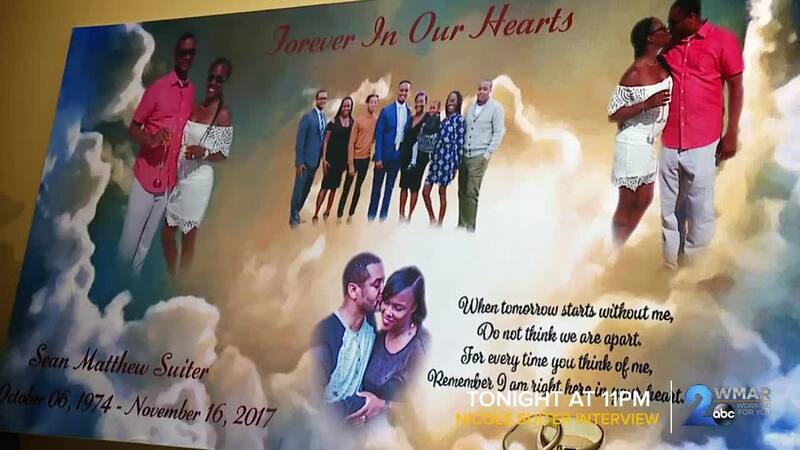 Sources close to the investigation say Detective Bomenka was then ordered to return to the block later that day and convince the witness himself, and that Sean Suiter was the only detective available to go with him. Attorneys for Suiter say this shows that of the two, Bomenka had the immediate reason to be on Bennett Place that day and that Suiter couldn’t plan or orchestrate the elaborate suicide plot claimed in the IRB report. It is a concern for the Suiter family that a report they have no faith in is being used to possibly re-determine Suiter's death. Her attorneys say they have spoken with the chief medical examiner who indicated the change is possible, but there is still no word. 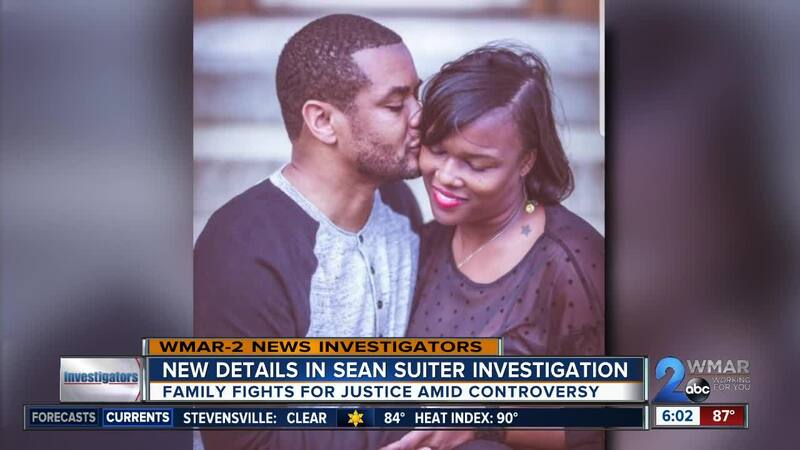 In the meantime, Suiter's attorneys say they have applied for Sean's death benefits this week. 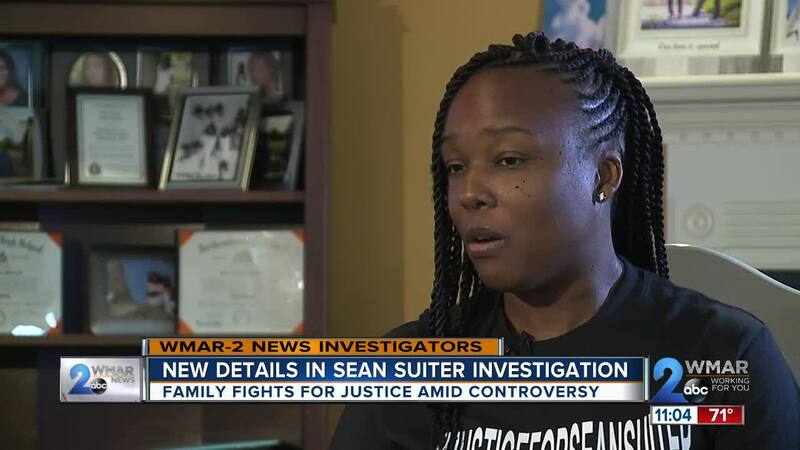 The company who produced the IRB report, CNA, sent WMAR 2-News to the Baltimore Police Department for comment; the department can only say that Sean Suiter’s death is still an open homicide case and cannot comment any further at this time.